王恒, 金圣爱, 李俊良, 董家贵, 张兰芳, 陈为堂, 葛晓梅. 设施高肥力蔬菜地氮素调控下磷素特征研究[J]. 农业资源与环境学报, 2014, 31(3): 253-258. WANG Heng, JIN Sheng-ai, LI Jun-liang, DONG Jia-gui, ZHANG Lan-fang, CHEN Wei-tang, GE Xiao-mei. Phosphorus Characteristics with Controlled Nitrogen in Fertile Soils in Protected Vegetable Field[J]. Journal of Agricultural Resources and Environment, 2014, 31(3): 253-258. Abstract:There is an unreasonable phenomenon of fertilization in vegetable facility cultivation, with the serious imbalance of soil nutrient. 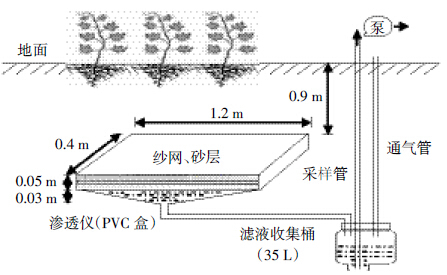 In purpose of understanding the absorption characteristics of phosphorus from nitrogen-rich soil, a long-term nitrogen-controlled experiment was carried from the year 2004 to 2007, and a split plot experiment of leaching was carried in winter-spring season of 2007. The results showed that the content of phosphorus varied with different nitrogen control. 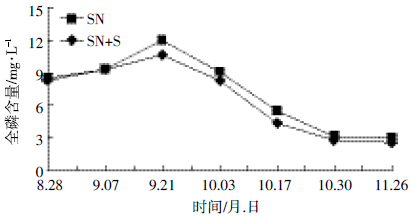 The TP was decreased with nitrogen supply of none(NN) 、organic manure(MN) 、organic manure and straw(MN+S), and the decreased range was NN>MN>MN+S, meanwhile the increase range of TP was traditional-nitrogen(CN) >traditional-nitrogen+straw(CN+S) >optimized-nitrogen+straw(SN+S) >optimized-nitrogen(SN). The available P with CN and CN+S reached to 213.7 mg· kg -1 、225.4 mg·kg -1, which increased by 17.1 percent and 23.5 percent, which declared the phosphorus was accumulated; The available P with other nitrogen controlled decreased with the range of NN>MN>MN+S>SN+S>SN跃CN>CN+S, which showed that the supply reduction of nitrogen could slowdown the phosphorus accumulated and promote the utilization ratio of phosphorus. 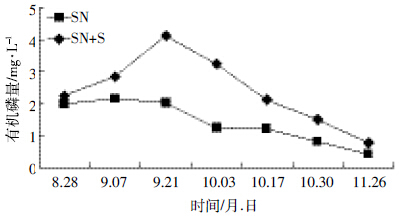 The organophosphorus was increased except NN, with obvious increase with CN、CN+S（308.4 mg·kg -1 、331.4 mg·kg -1 )by 28.5 percent and 38.2 percent. The absorption coefficient of phosphorus with SN+S(P 2 O 5，mg· 100 g -1 )reached to 1 571, increased by 143.6 percent; Otherwise the absorption coefficient of phosphorus with CN、CN+S showed negative growth, the CN dipped to 416（P 2 O 5，mg·100 g -1 )by 35.5 percent. Adding wheat straw could greatly improved the capacity of absorption of phosphorus and slow down the accumulation of available phosphorus to some extent. The concentrations of total phosphorus in the filtrate with SN+S were less than SN, contrary to the concentration of organophosphorus, thus the straw returning had a certain effect on stopping the organophosphorus leaching, the concentrations of total phosphorus in the filtrate was 2.62~12 mg·L -1, and the concentrations of organophosphorus was 0.42~4.12 mg·L -1, both of them exceeded the national security quality standards of water. Consequently, control-optimization supply of nitrogen in high fertile soil could promote the absorption and utilization of phosphorus, and had directive significance to guide famer’ s fertilization. Reducing the supply of nitrogen and returning the straw with high carbon are suggested to improve the utilization rate of fertilizer and reduce the pollution of nitrogen and phosphorus in soil and water bodies. Zhu J H, Li X, Christie P. Environmental implications of low nitrogen use efficiency in excessively fertilized hot pepper cropping systems[J]. Agriculture Ecosystems and Environment, 2005, 111(2):70-80. Gagnon B, Lalande R, et al. Enzyme activities following paper sludge addition in a winter cabbage-sweet corn rotation[J]. Can J Soil Sci, 2000, 80: 91-105.